Find Dili, East Timor, on the map. This story happened in 2009. Many of the Pathfinders are church leaders in East Timor today. 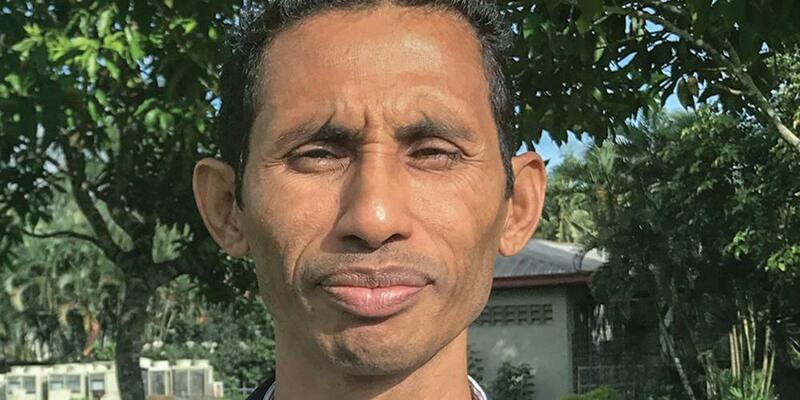 Inaciu da Kosta now serves as the executive secretary of the Timor-Leste Mission. To Sabbath School teachers: This story is for Sabbath, Nov. 24. An hour later, the Pathfinders arrived at the village of Remexiu, where the girls lived. The Pathfinders marched and did several drills. They passed out tracts about Jesus to the villagers. They found the three girls and prayed with them. Pastor Inaciu, who organized the trip, prayed last. “Please, God, bless these girls and help them always to be faithful to You,” he said. The girls were happy to see their friends. The girls also were Pathfinders and had been baptized while studying in Dili. But when they returned home, their parents had been furious about their decision to follow Jesus and told them that they could not worship on Sabbath. Soon it was evening, and Pastor Inaciu called for the trucks to take the Pathfinders back to Dili. The group waited and waited, but the trucks didn’t come. “Where are the trucks?” Pastor Inaciu asked the young man responsible for the trucks. “The owner doesn’t want to take you to Dili,” the man replied. Pastor Inaciu learned that the truck owner was scared to take the Pathfinders back to Dili. Several parents were angry that the Pathfinders had come to the village and had threatened to beat up the truck owner. So, he didn’t want to help anymore. Pastor Inaciu gathered the Pathfinders around him. Another villager pointed his stick at Pastor Inaciu. “Let your leader come and meet with us,” he said. The villagers insisted with greater determination that he go with them. As he left, the Pathfinders sat down in the middle of the street. Huddling together, they closed their eyes to pray. As they took turns praying, they heard a crowd of people coming toward them. The voices were angry and threatening, but the Pathfinders kept their eyes closed. Suddenly, the tone of the voices changed from anger to dismay. The sound of pounding feet indicated that the crowd was running away. What happened? The crowd of villagers had planned to beat the Pathfinders and perhaps even kill them as they sat praying on the road. But as the villagers had approached the praying children with their sticks, they had suddenly seen a group of strong men in long white robes standing around the Pathfinders. The unexpected appearance of the powerful protectors had shocked the villagers. The faith of the Pathfinders, including the three girls in the village, grew stronger after that day.